Starting date for online registration: - 28th Jan 2014. Last date for online registration: - 11th Feb 2014. Tentative date for written Examinations: - 23rd March 2014. Written Examination Call letter will be available from: - 10th March 2014. MMG Scale II: - 68 in which Gen-39, SC-07, ST-05, OBC-17. JMG Scale I: - 14 in which Gen-09, SC-01, ST-04, OBC-00. Check the Punjab Nation Bank Official website for more details about posts. Selection Process: - Written Examination and Interview. Application Fees: - For Gen/OBC/ EXSM Candidates: - 400/- and SC/ST/PWD Candidates: - 50/-. 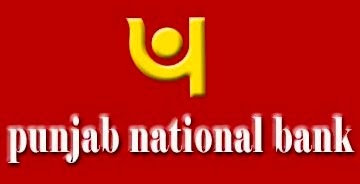 How to apply: - All the candidates can apply for these posts through online by the official website of Punjab National Bank. For more information and detailed advertisement Pls check the below given link. Click here to know more about the recruitment advertisement. Stay connected with us for more updates about Latest Recruitment, Jobs, Govt Jobs, Results, and other news. You may also follow us by our site and Google+. And you can also like us on Facebook to get our all the updates on your Facebook wall.